Trenton man at center of defense was arrested with Shaheed Brown in 2014 | Homicide Watch Trenton | Mark every death. Remember every victim. Follow every case. When a former Newark gang member befriended a city man, the last thing he could have envisioned was being the individual a defense attorney would accuse of pulling off what a prosecutor described this week as the brutal assassination of a Ewing man. But that is the position Alvie Vereen is in, testing the strength of his friendship with suspected killer Shaheed Brown. The two were said at trial to be close, Assistant Prosecutor Brian McCauley suggesting Vereen followed Brown around like a “puppy dog” outside of a city bar that became the scene of a grisly murder. Brown is on trial for a second time for allegedly gunning down Enrico Smalley Jr. on July 12, 2014, outside of La Guira Bar. While it has been asked to access the credibility of a third-party guilt defense implicating Vereen, the jury does not know Brown and Vereen were arrested together in Newark for an alleged carjacking, about a month after Smalley was gunned down, according to sources with knowledge of the arrest. 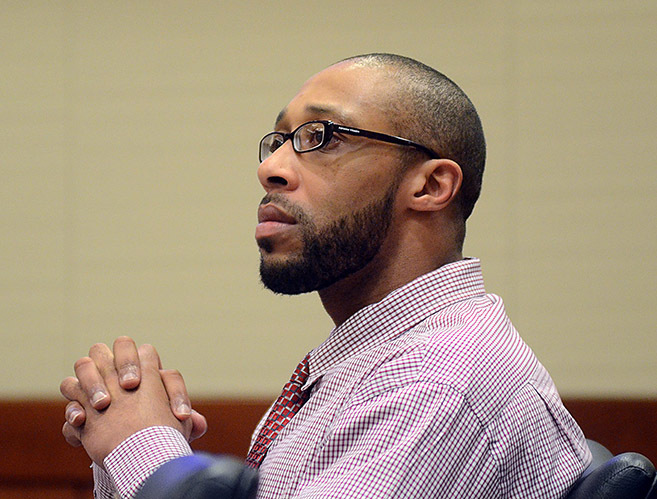 The panel deliberated the Newark man’s fate Wednesday without reaching a verdict. While Brown’s alleged role in the carjacking was revealed at his bail hearing in August 2014, The Trentonian for the first time is revealing Vereen’s alleged involvement. State Police Detective Joseph Itri said that by that time Brown was arrested in Newark, he had shaved off his long dreadlocks. Following the murder, prosecutors contend Brown skipped Trenton for his hometown of Newark, where he had family who could help him evade authorities. His defense attorney has disputed that notion. Prosecutors did not try to get information about the duo’s arrest before the jury, and a judge would have ruled it was improper because the carjacking case never went forward. But it is critical in helping fill in gaps about Brown’s whereabouts following Smalley’s death. That Brown, who allegedly was chased from the bar by with a gun by Smalley’s associates a week before the murder, was out for “revenge” when he showed up to the bar about 15 minutes before last call and shot Smalley to death. 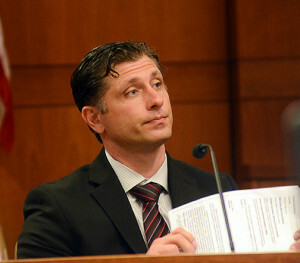 Or that evidence points toward Vereen, who appeared to act suspiciously on surveillance tapes, as the possible killer. The competing theories have thrust Vereen into the center of the trial and have highlighted the disquieting connection between the men, which has been largely ignored by the defense. Vereen, known on the streets as “King,” was with Brown in Newark when they were arrested Aug. 17, 2014 for an alleged carjacking of a Trenton man who was allegedly shot in the face. The carjacking took place more than a month after Smalley was gunned down. McCauley mentioned the carjacking at Brown’s bail without going into great detail. But The Trentonian has learned Vereen allegedly was armed when he was pulled over by Newark police in a blue Lexus, according to sources with knowledge of the arrest. When police searched the car, they found a .380 Beretta loaded with five rounds. Brown was in another vehicle, following behind the blue Lexus. Itri went to Newark and brought Brown back to Trenton, while Vereen remained in police custody in Newark. Itri did not interview Vereen about Smalley’s murder until December 2014. The alleged carjacking victim did not pursue charges against Brown or Vereen. And Essex County prosecutors found no trace of gun charges being filed against Vereen. When investigators visited Vereen months later at a detention center in Bucks County, Pa., where he was locked up on unrelated drug charges, he had changed his hairstyle. He denied being at La Guira Bar, which investigators realized was not true after reviewing surveillance tapes. Heyburn seized on Vereen’s recalcitrance with police detectives and pointed to his actions on surveillance tapes. Vereen was near the entrance of La Guira when Rodney Sutphin got his attention as Smalley exited. Brown and Smalley walked down the sidewalk. After the men step off camera, Vereen and Sutphin walked toward Smalley. Vereen appeared to reach with his left hand toward his waistband seconds before the Ewing man was shot, Heyburn said. Jurors cannot consider attorneys’ closing arguments and must make a decision based off evidence. It’s unclear how, if at all, Heyburn’s claims will affect jury deliberations.